It's a fun thing the crop was developed by ancient civilizations, the seed banks and research are government funded, the product development and pattent process is tax dedutible... and people cant plant plants. They will copyright babies soon for sure, that two girls with AIDS immunity in china? They will have a license to use but not reproduce their dna. But it is also reality now already, if you do not know. Most commercial potato and crop seeds are copyrighted, so you can grow them, but as soon as you attempt to use specialist and cultivate them and resell new seeds you will start to have big issues. No new thing, just found it pictoresque to cross a "DMCA" notice saying you cant plant plants. "Who sells, reproduce or stock protected cultivars without the breeder(?) 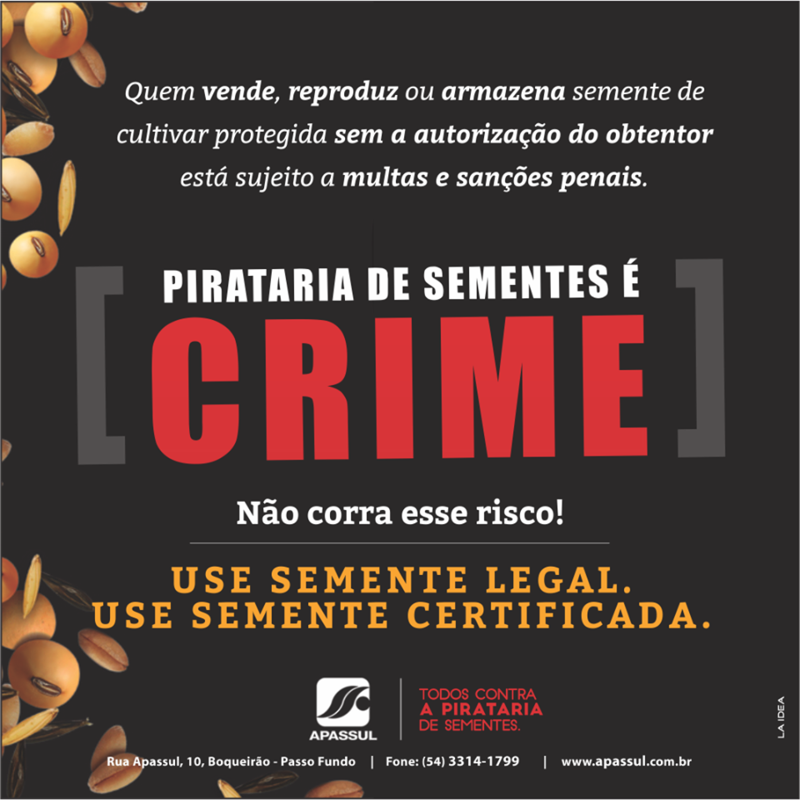 authorization is subject to sanctions and fines"
In that case it is about using copyright protected seeds.